I glanced at the wall clock as I finish off my breakfast with the last sip of coffee at 5:10 am. I arrived 15 minutes before the devotional prayer had started. After that, I warmed up and whispered to myself, “I can do this” as I get ready to face anything that may happen within my 8-hour duty shift. I grabbed the assignment notebook first and tried to read through my assigned buddy and patient’s names. I was surprised to know that instead of having my duty in the medical ward, I was assigned to the ICU, perhaps. tadaa! The ICU is where seriously sick persons are admitted and are cared for by specially trained nurses. They need a higher level of care compared to those patients admitted in wards. They should be monitored intensively and are closely monitored. Even though the ratio of patients and nurses is 1:1, some still consider it stressful being an ICU nurse. Since nurses are assigned to one patient each, each is expected to render comprehensive care to the clientele. Vital signs and GCS monitoring is needed every 15minutes, measuring the urine output every hour too is required, due meds should be given on time, etc. My 8-hour shift is now over. 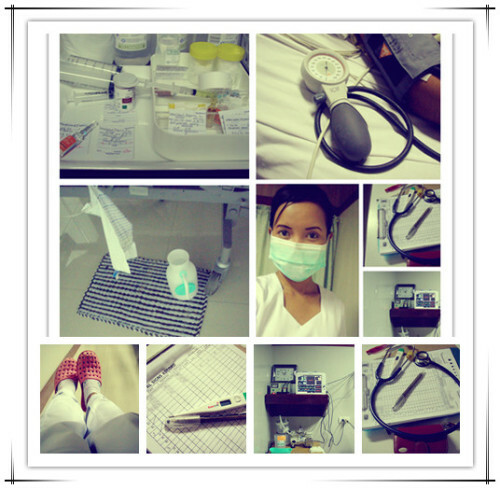 I feel fulfilled to know that today, I learned many things about ICU and about my patient’s case. Moral Lesson: One never knows what will come through the door next. The kind of relationship I like.. Someone asked me to choose between having a compatible relationship or the contrary which has lots of differences. I opt for the latter. Simply because of some reasons. First, having a magnet-like relationship is such a challenging one. It needs more effort, a lot of patience and more understanding. But even if it demands a lot from you, still it helps both the couple to grow. Second, opposite attracts. Of course it’s true, well, that’s what I believe due to the reason that you are very curious about your partner and so you’ll find ways to discover things about her/him; about her/his personality, what are the things that will make him/her happy, or let’s just say you wanna know everything about him/her. Discovering things about your partner attracts you more and pull you closer to him/her. Lastly, you’ll learn vast amounts of lessons for this kind of relationship and it will make you more mature as you both face your differences in life. The alphabets in ‘Teaching’ and ‘Cheating’ are same. Thus, the one who ‘Cheats’ you, always ‘Teaches’ you something!